In the Forex market scalping is the top example of day trading carried out by traders who buy into a certain position with the goal of seeing a quick market movement and then sell for a good margin of profit. Most scalping trades last only minutes, and none more than 24 hours. Some trades that last one or two hours can also be considered scalping, but generally that’s just referred to as normal day trading. When someone talks about scalping in the forex market, the real meaning is a “precision” trade. The scalper who is trading the Forex is a trader who rapidly opens and closes a position. In some cases the decision is made in less than 60 seconds. Anticipating an immediate trade to rumors, news release or other business events, a trader can decide to rush in, and since the movement is so fast, they can show a profit, then immediately exit to help minimize the risk. So, the top secret behind forex scalping consists in opening and closing the positions effectively. With this tactics a trader increases his chances of collecting smaller profits bit by bit while avoiding high risk from forex market swings that could cause to lose a lot of pips. One of the most essential steps in forex scalping is to have a stop and exit in mind before entering into a position and built up the ability to have the position immediately closed before the market moves in either direction. By getting just even a few pips difference can be an important deal, because the leverage in the Forex market allows traders to make a profit off even the smallest pip gains. The option of using scalping in forex trading may limit both, potential losses and potential profits because all transactions are extremely quick. So like any trading strategy, there are positive and negative points to the chosen options. Scalping is among the favorite practice of many day traders but if you are a beginner in the Forex business, the best option is to start with a solid Forex trading system and long term goals’ strategies. Acquiring the appropriate skills on how to use a long term forex trading system is the most important step for everyone expecting profit from Foreign Exchange Trading online. Consider learning the best practice before you decide moving on to anything else, especially to something like forex scalping, which is the most complex method of day trading and a hard skill to learn effectively. Forex scalping is a trading tactic founded in using tight stops to generate small regular profits which can turn in bigger profits overtime. This forex trading strategy is among the most popular ways for new traders to get into forex trading and offers the appeal of regular profits and low risk. 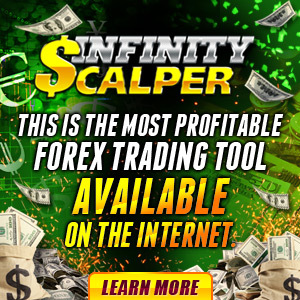 The forex scalping is, however considered for some experts as one of the ways that lead beginner traders to lose money in forex business. As you might know, some trillions of dollars are traded daily, by millions of traders worldwide and to think that someone can guess what all money seekers are going to do in coming few minutes, is definitively gambling because all short term volatility happens randomly. So, it is obvious that does not matter how good is your forex scalping system it will never help you in making the expected profit. Is Forex Trading Made EZ Currency Course the Same As Forex Made Easy?